In 2013, the ACCS decided it was time for a strategic investment. Classical Christian education offered so much to the early pioneers in the movement, but relatively few Christians had knowledge of it, or access to it. At that time, we had around 35,000 students in classical Christian schools compared to about 1.6 million students in evangelical Christian schools and about 2.4 Million students in protestant schools. Today, the numbers have changed slightly, with about 700,000 students in Evangelical Christian schools and about 40,000 students in CCE schools. What would happen if classical Christian schools grew to represent 20-25% all protestant schools? Or half of all evangelical Christian schools? We believe that, though still a minority, the influence of CCE would be great enough to begin transforming the course of Christendom within about 2 or 3 generations. Why? 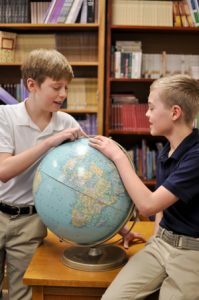 Studies have shown that classical Christian education has a track-record of producing students with a solid Christian worldview (see biblical worldview schools). Generations before us have uncovered the path: Paideia, the ingredient that forms culture. A Christian Paideia is cultivated most effectively through classical Christian education. When Christ spoke of the Gospel, he spoke of a kingdom— like salt, leaven, a light, a city on a hill. All of these metaphors, by their nature, are distinctive, and they attract people to them. This may seem like a long-term plan, but that’s what it took when the progressives set out to change America through education in 1906. It took 50 years to begin to see the change they brought in, and we’re still seeing the influence of progressive educators on the Millennial generation. We would be wise to remember that ‘generations’ are often the currency of time used by our Lord. The ACCS strategic plan calls for 300,000 students in classical Christian schools by 2026. 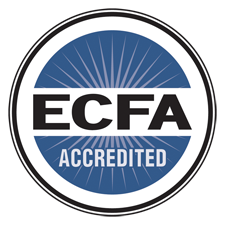 Not all will be in ACCS member schools, but we anticipate the need to grow to about 1000 ACCS schools to meet our other goal– to deliver quality classical Christian schooling within driving distance of 80% of the US population. The fact is, long ago, our culture strayed from the simple message and deep satisfaction of Christianity: Love, know and worship Jesus Christ, love your neighbor, and live the good life enjoying God’s many gifts. Tens of thousands of students in classical Christian schools are rediscovering this simple formula to flourish. It’s time to rebuild a uniquely Christian culture within our Christian communities. The key is in our children. We may or may not influence the direction of the nation, or the world. But we are called to be His people— to be faithful. So come with us as we pioneer a path that has already been traveled— many times in history. And each time, it has led to a people dedicated to the Lordship of Jesus Christ. And they, in turn, polluted the dark shadows of the culture, from the ‘city on the hill’ that is the kingdom of God on earth. True Christian education is unlike anything practiced in conventional classrooms today. Young people, if educated in the historic Christian way, will rise to replace the ideas of our broken culture with the hope and grace of Christ. But they must be trained to think deeply, to live humbly with respect, to have an inspired command of language, and to embody Christian virtues. Our bold effort requires the 16,000 + hours that students will spend in the k-12 classroom, and support from families and churches. We have no time to waste.